Are you a food lover and a fan of grilled foods, but tired of that dirty charcoal? Can it be frustrating getting the right temperature for charcoal and gas grills? If so you should consider indoor portable grills. These indoor electric grills are smoke-free with easily adjustable temperatures. This can be a great and simple grilling option even if you love outdoor grilling. Without wasting any further time let’s jump onto the features that you should keep in mind before purchasing an indoor grill. An LED light indicator is an important feature that helps the users identify the right temperature of the grill and the status of the food being grilled. Temperature Control knobs allow the user to control and maintain the temperature of the grill according to the cooking requirements so that the food being cooked remains perfect instead of being over or undercooked. A timer is an important feature that makes it easy to track cooking times. You can set this timer independently of any other times you may be using in your kitchen for other dishes. Full contact grills come equipped with a floating hinge that provides the ability to handle meats of various thickness such as a thick filet mignon or a nice lean salmon steak. An auto-off function is a handy feature that automatically turns off the grill when the food has finished cooking. Removable non-stick plates are easy to clean once you are done cooking. Once they are cleaning and removing the grease you can conveniently put them back where they belong. Keeping these features in mind, we have selected the best indoor grills for you that are leading the market in terms of features, performance, and feedback. The Philips HD6371/94 Indoor Grill comes with high-quality reflectors and infrared technology that equally distributes the heat to the food for stable and orderly cooking. The machine heats to 446 degrees and can heat up in 6 minutes so you can get to your grilling fast. It is best for using indoor as it is smoke-free and cooks food quickly. Use it to grill food that you are longing for. T-fal GC702 can cook or grill food on the basis of its thickness, this feature makes it capable of cooking your meats properly to keep them juicy and flavorful. You can easily monitor your food being cooked with the help of preheating/ready indicator lights and audible beeps for rare, medium and well-cooked. The two modes of cooking; frozen and manual mode make it very flexible and easy to grill. It is best for grilling burgers, poultry, sandwiches, sausages, red meat, and fish. This machine’s fully embedded grill plate heating element distributes the heat evenly to bring out the best results. Moreover, its tempered glass lid keeps the meal warm once it’s cooked which helps to keep it tasting great even if not served right off the grill. 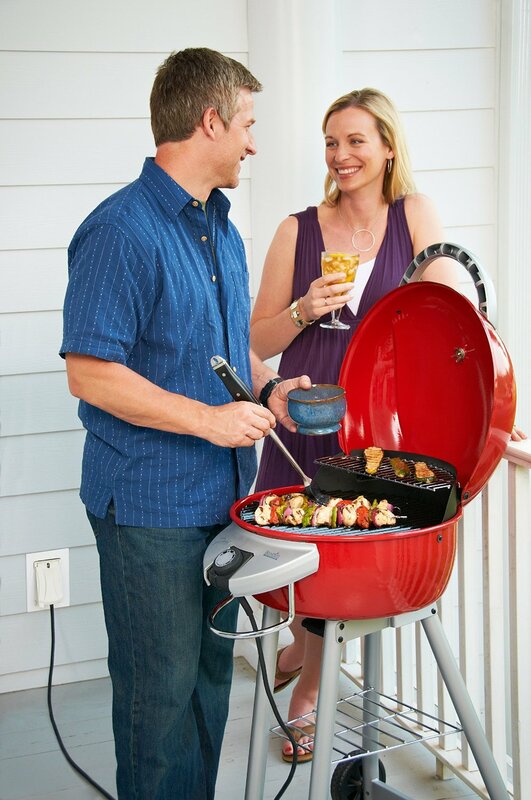 The grill is also equipped with an adjustable and detachable thermostat. If you are looking to grill burgers, fish or meat at a perfect temperature the Delonghi Perfecto is a great option. Named after the famed boxer, with this grill you can cook 4 meals in just 10 minutes because of its size. It is really durable as its high-quality coating is much more efficient than the other devices in this range. It also comes with a removable plate that is safe for the dishwasher. It heats 35% faster than other machines and is also equipped with a fat-removing slope that removes up to 42% of fat for a lean healthier meal. Inclined lower surface to get rid of the grease and oil dripping from the meal. It is the best option if you are looking for a grill with multiple functionalities, as you can cook various styles of grilled dishes with it quickly, even if you are not a pro. Although Cuisinart GR-300WS is a bit expensive, but still a great grill in this price because of its numerous features and great built quality. You get 6 multiple cooking options ranging from contact grill, Panini press, all the way to full-grill/half-grill and top melt. The temperature control was never this easy with dual-zone temperature control, and not only this, but you can also quickly cook the food with the help of sear feature at 550F for up to 2 minutes. This latest technological grill machine also consists of an LCD to make indication and cooking easier than ever. Removable stainless-steel plates–safe for dishwashers. Hamilton Beach 25361 can cook a vast range of foods for a small group of people. You can easily control the temperature with the knob and adjust it according to the food or desired results. The large cooking surface ensures that you have enough space to cook multiple items at a time. The indicator lights help you know that if your grill is plugged in and reached the preferred temperature or not. Not to mention the viewing window that can help you monitor your food without opening the lid again and again. Indoor grills can be a great replacement or an outdoor grill as well as an excellent complement as well. The ability to control temperature, flexible grilling thickness, quick clean and smokeless cooking are all great benefits to consider. We would recommend taking a close look at the Philips Smoke-less Indoor Grill HD6371/94, or opt for George Foreman GRP1060B if you want one at an affordable price.